This is a great HAND-SIGNED 8x10 sketch! You could own this sketch that has been authentically autographed by this member of the West Memphis Three. 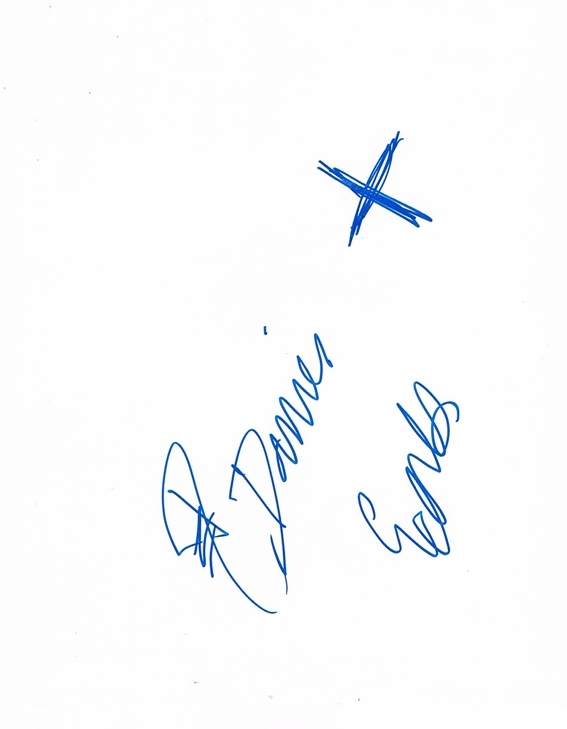 We never sell copies or reproductions of any kind; this item has been hand-signed by Damien Echols. This sketch was signed in-person at the premiere for Savages in New York City on June 27, 2012. Damien sketched an "X" because that is the only tattoo that he has done.